Clifton School in Bulls will be able to hold classes outdoors now that they are a TREEmendous School. On Saturday over 900 native trees and shrubs were planted to create a new outdoor learning area. 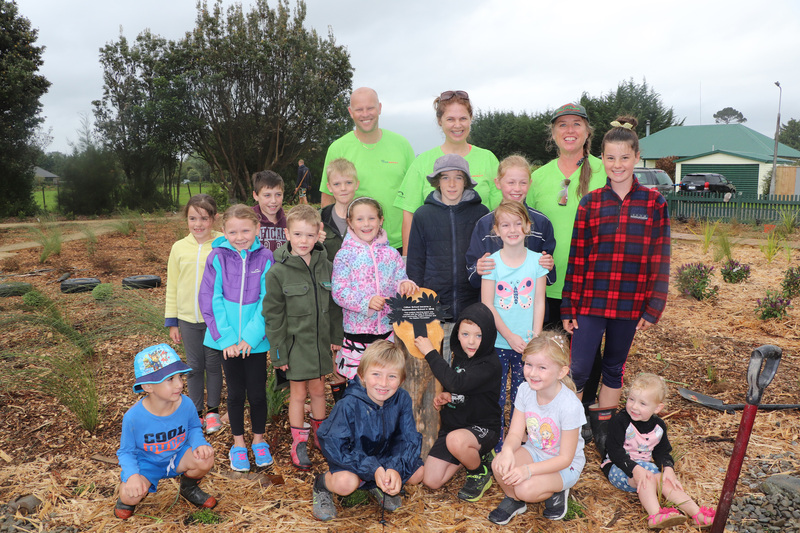 The planting was completed through the collaborative effort of more than 90 members of the school, local community, staff from Mazda New Zealand, the Mazda Foundation, along with the team from Project Crimson. The school used a method called ‘lasagne/layered gardening’ that sees compost/clippings and cardboard layered on top of the grass. This provides nutrients to the soil while at the same time keeping the area weed free. School Principal Adrian Burn says the school has a strong environmental focus which is demonstrated by its very impressive veggie patch. “We’d like to give a special mention to our school administrator Kerry Robson who led the project, and all the children, parents, teachers, families and local community members who helped on Saturday and worked tirelessly in the lead up to the event,” he said. 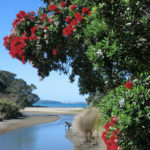 TREEmendous has partnered with Predator Free NZ to provide Clifton School with a specialised ‘school kit’, consisting of chew cards, tracking tunnels and rat traps. TREEmendous Ambassador Ruud Kleinpaste brought along his insect friends and spoke with the students, educating them about native bugs and the importance of looking after the environment. Mazda Foundation and Project Crimson Ambassador and designer Boh Runga also attended and got stuck in, planting trees alongside students at the event. Mazda Foundation Chairman, David Hodge, says the school’s passion for nature was evident and they should be proud of the completed project. 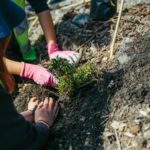 “The Bulls community really got in behind Clifton School to make this transformation a success, it is awesome to watch the next generation get excited about nature and conservation,” he says. Clifton School was the first school to be visited by the TREEmendous team this year, next up is Trentham School in May, followed by Beckenham School in June and Anchorage Park School in July.